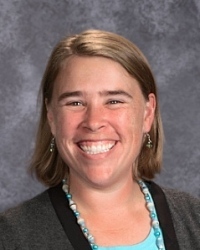 Sioux Falls Lutheran School is pleased to announce that Miss Heather Miller is one of 79 teachers nominated for the 31st Annual 2019 Dr. John W. Harris Teacher of the Year award. A Sioux Falls native, Miss Miller is a member of the SFLS class of 1996. She holds an elementary education degree from Dakota State University, a master’s degree from Concordia University—Portland, and a Colloquy certificate from Concordia University—Nebraska. She began teaching preschool at Sioux Falls Lutheran School in 2011. The SFLS preschool program has been voted one of the Local Best in Sioux Falls for 11 years running. Finalists for the 2019 Teacher of the Year award will be notified after a judges’ meeting this week. The winner will be announced at a reception for nominees and special guests on Monday, March 4. View the full list of nominees at KSFY.com. The Dr. John W. Harris Teacher of the Year award is sponsored by the Sioux Falls School District and Vern Eide Motorcars. Any teacher from an accredited pre-K-12 educational institution in Sioux Falls may be nominated for the award. Kids and Screens: How Much Time is Okay?